Planning a party? Making appetizers for Family Thanksgiving? Great appetizers are a must for a successful party, and there’s nothing easier (or more tried and true) than a tasty cheese ball. But if you’re tired of the same ole recipe you’ve made for years, kick it up a notch. 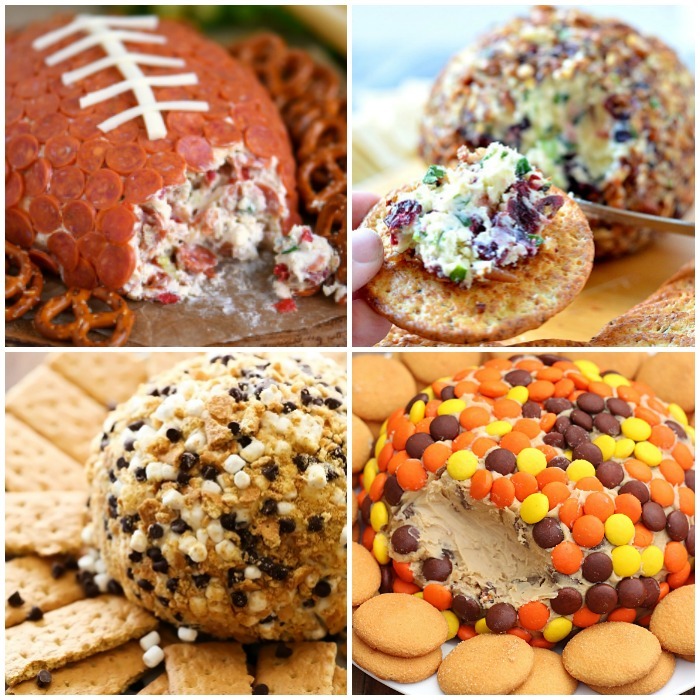 From scrumptiously savory to decadent desserts, you’ll find lots of crowd-pleasing cheese ball recipes here – and if you want more tips on how to throw a party with the least effort, check out our earlier post!. 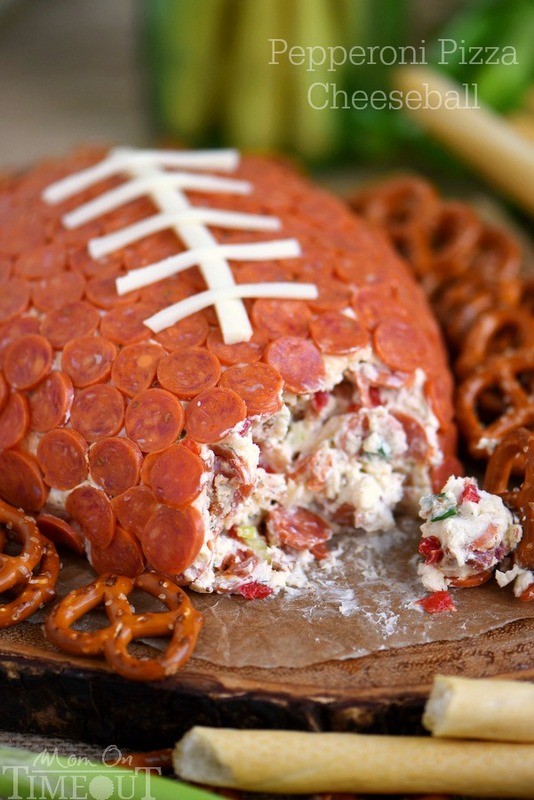 You have to make this Pepperoni Pizza Football Cheese Ball for your next tailgating party. With three cheeses, pepperoni, green onions and a load of bacon, you’ll be the real MVP. 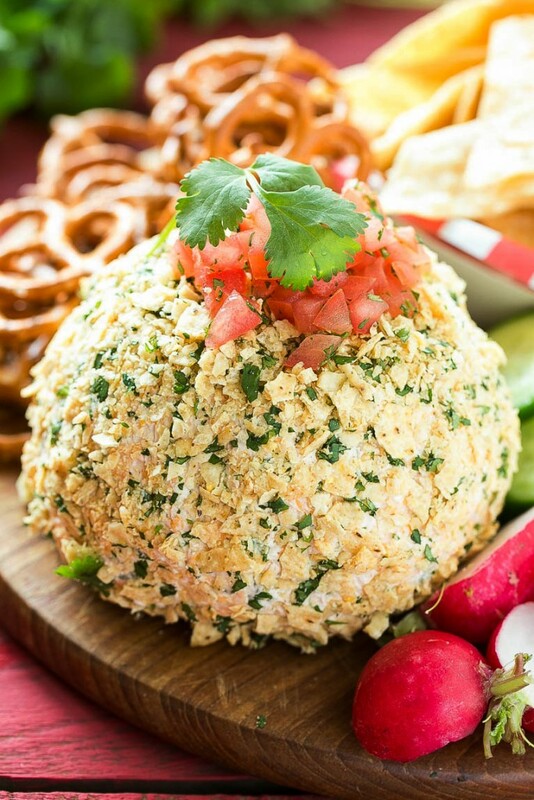 Only a few ingredients (cheddar cheese, cream cheese, salsa and jalapenos) are needed to make this spicy Jalapeno Cheddar Cheese Ball. Substitute green bell peppers for the jalapenos if you want to tone down the heat a little. 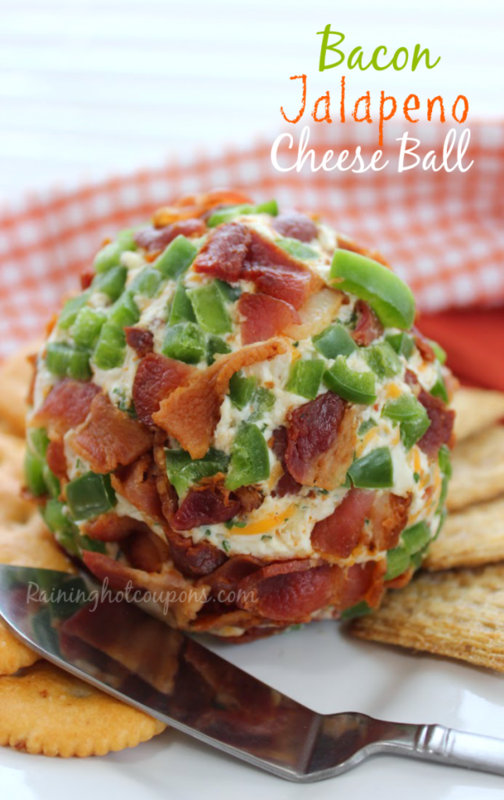 Or this Bacon Jalapeno Cheese Ball might be more your style. After all, bacon is good with everything! It is easy to win at at holiday party appetizers when you make this ten minute from prep to table snack – pull-up bread! Wows every time! 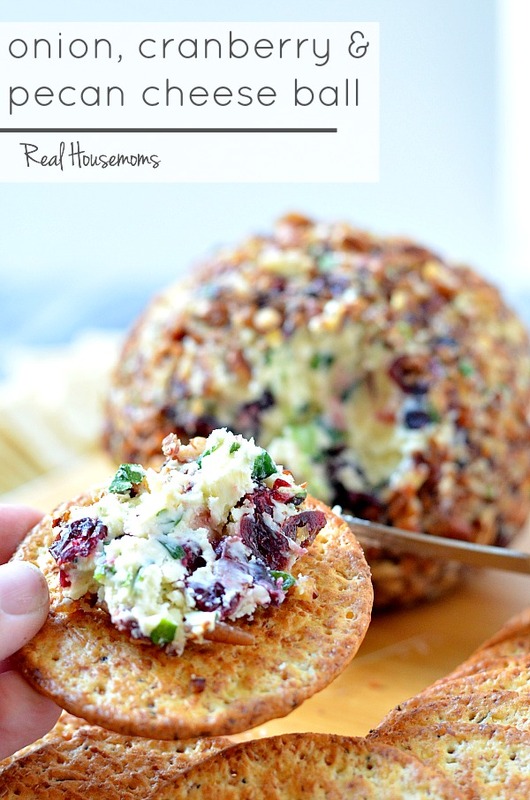 The colors in this Onion, Cranberry and Pecan Cheese Ball are just beautiful. The flavors work perfectly as an appetizer for a holiday meal, too. Have a nut allergy? 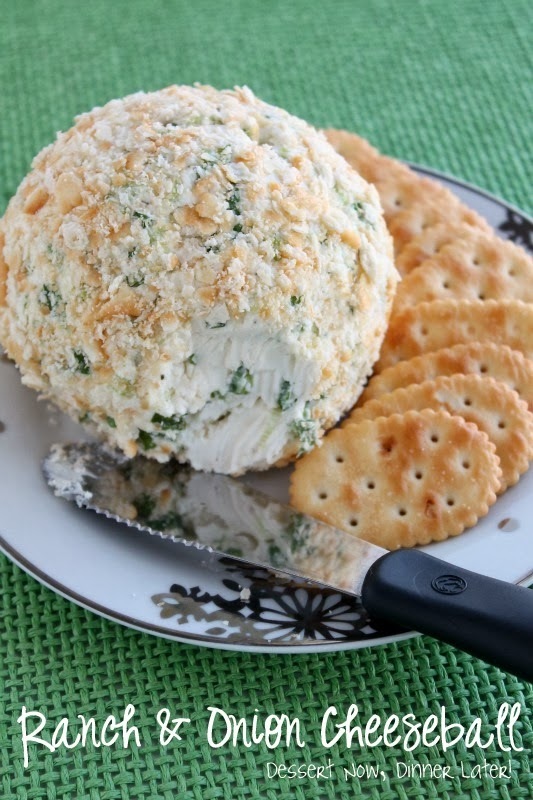 Roll the cheese ball in crackers instead! 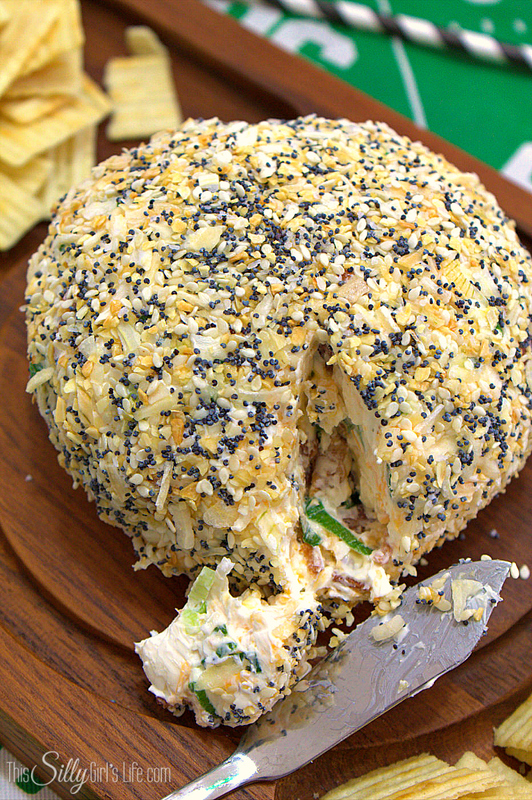 This Ranch and Onion Cheese Ball is the perfect solution. 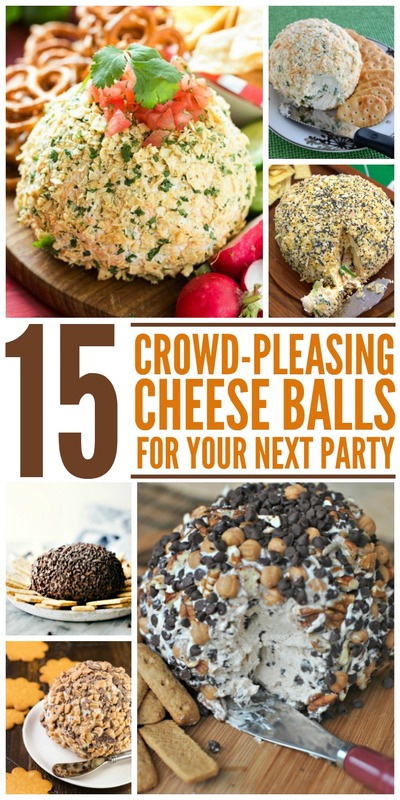 Don’t want someone hogging the cheese ball? 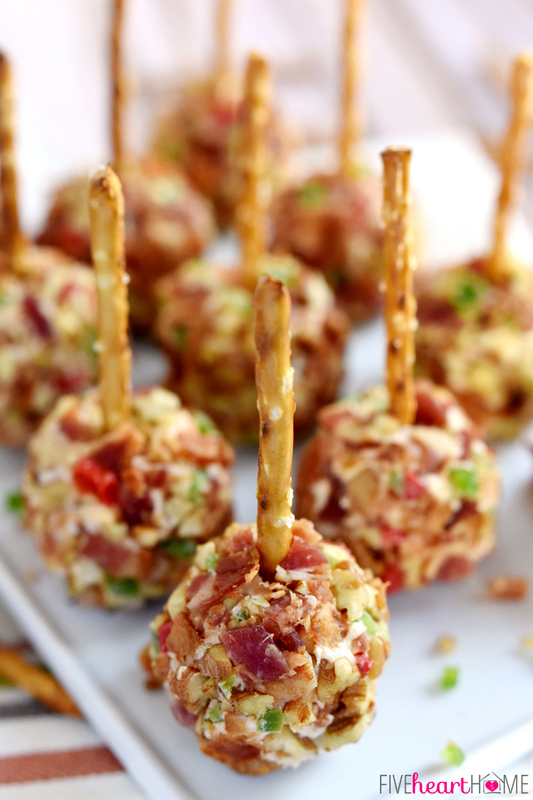 Make Pimento Cheese and Bacon Cheese Ball Bites instead. Everyone can have a few bite-sized appetizers, so you can make sure there’s enough to go around. Do you swoon for Everything Bagels? 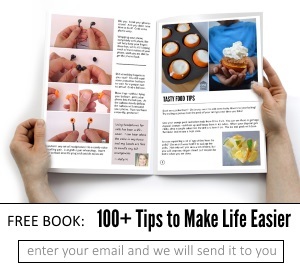 If so, you have to try the Everything Cheese Ball recipe. Anything with poppy seeds is a touchdown in my book. 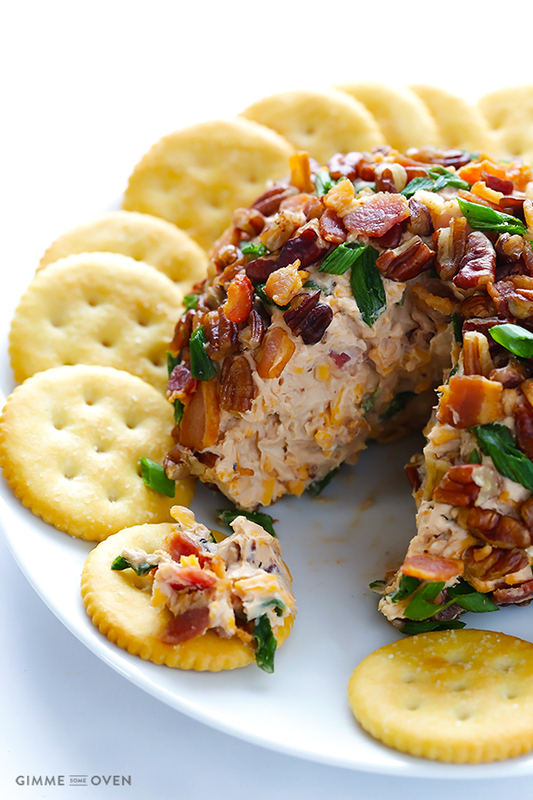 With only 10 minutes prep time required, you always have time to throw together this delicious, can’t-stop-munching-on BBQ Bacon Cheese Ball. 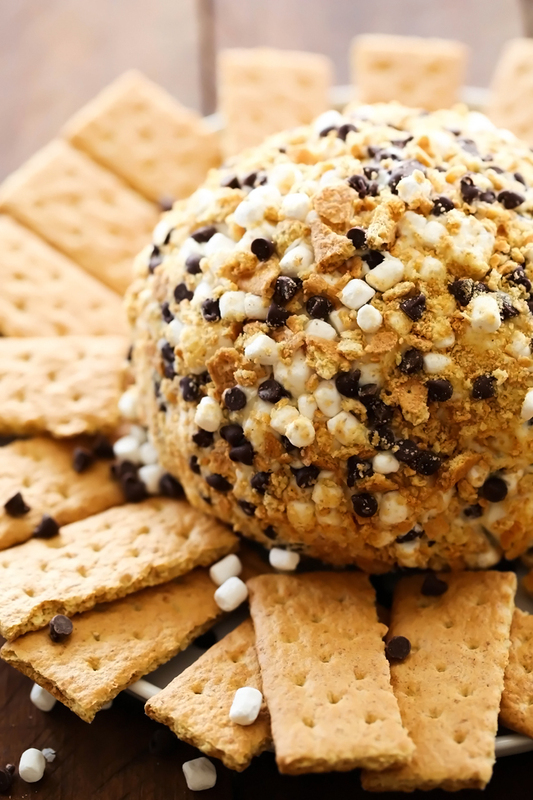 And now, how about some sweet cheese ball recipes for dessert? 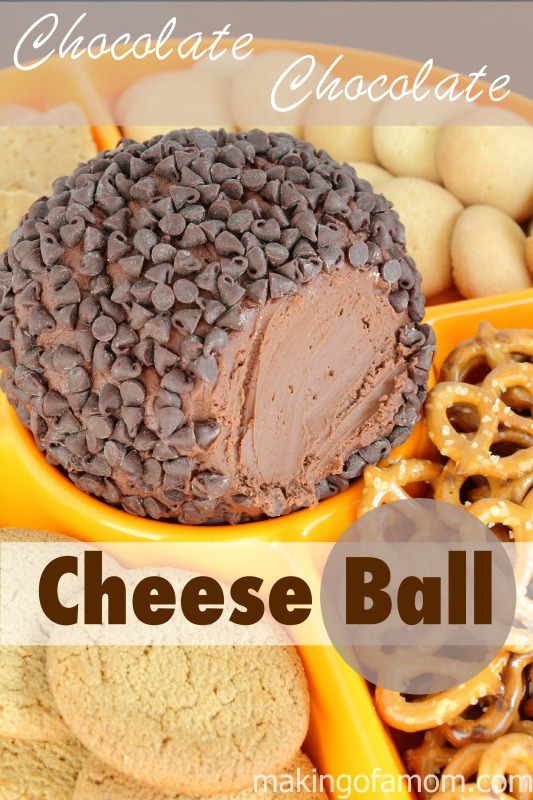 Brownies are my favorite dessert, so you can bet that this Brownie Batter Cheesecake Ball is at the top of my list! Isn’t it glorious? 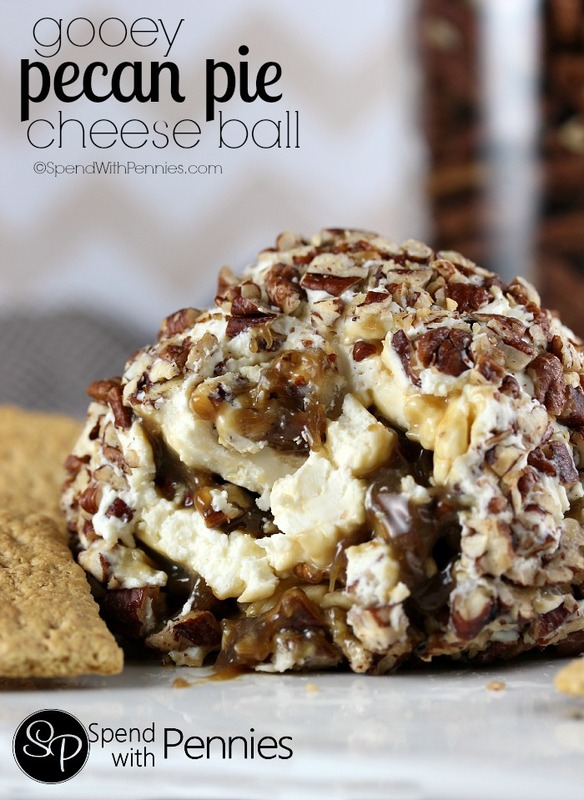 Whip up one of these Gooey Pecan Pie Cheese Balls for Thanksgiving this year. Or anytime, really. There’s never a bad time for pecan pie or cheese balls. Everyone loves S’mores, but they can be a little messy and difficult to make when you’re feeding a crowd. The solution? 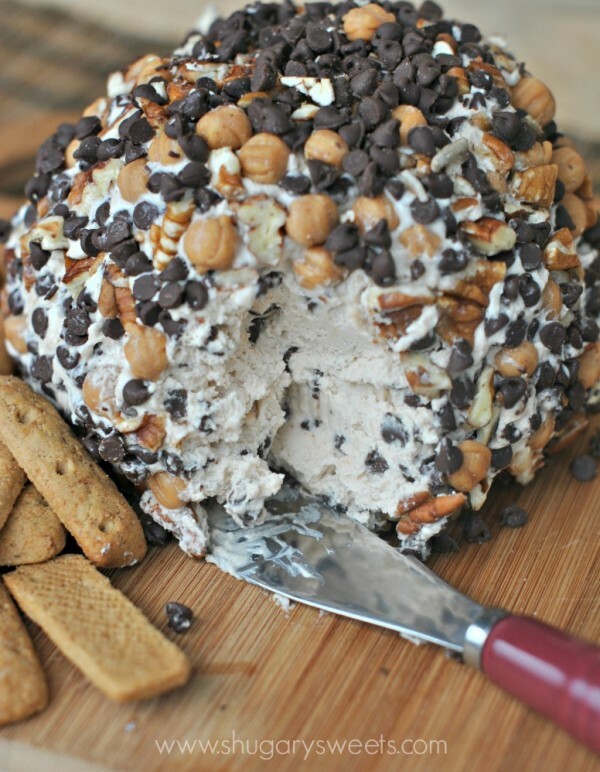 Why, this S’more Cheese Ball, of course. What’s better than chocolate? Double chocolate! 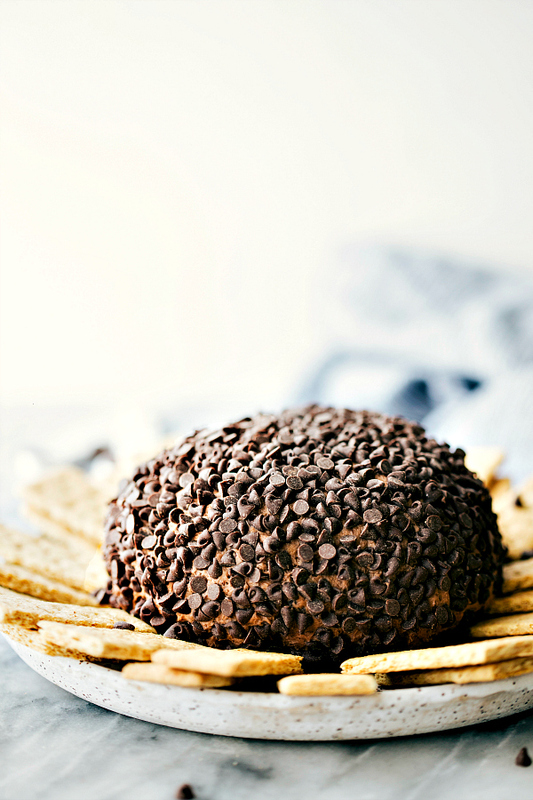 Your guests will devour this Chocolate Chocolate Cheese Ball in no time flat. 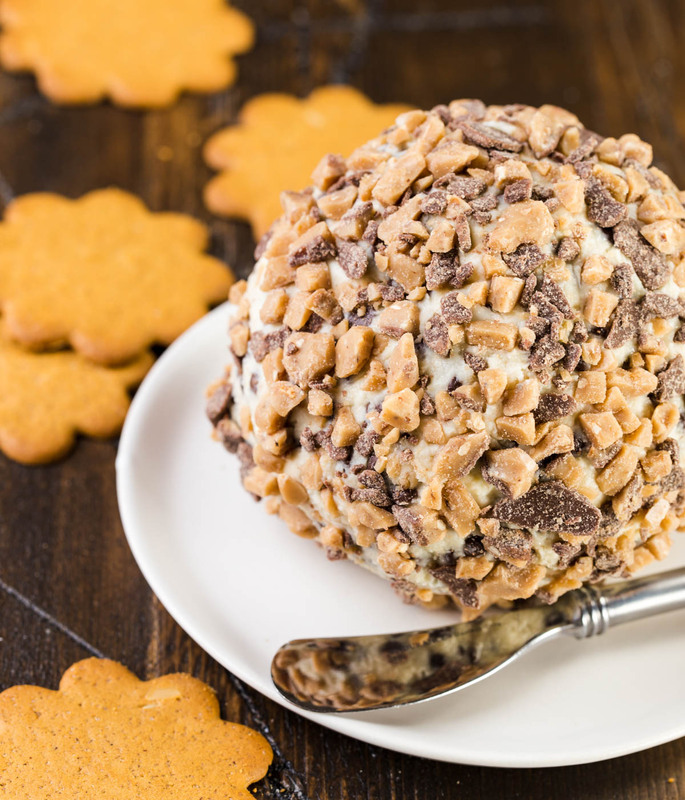 A Turtle Cheese Ball with lots of caramel, pecans and chocolate chips is sure to win your friends over. 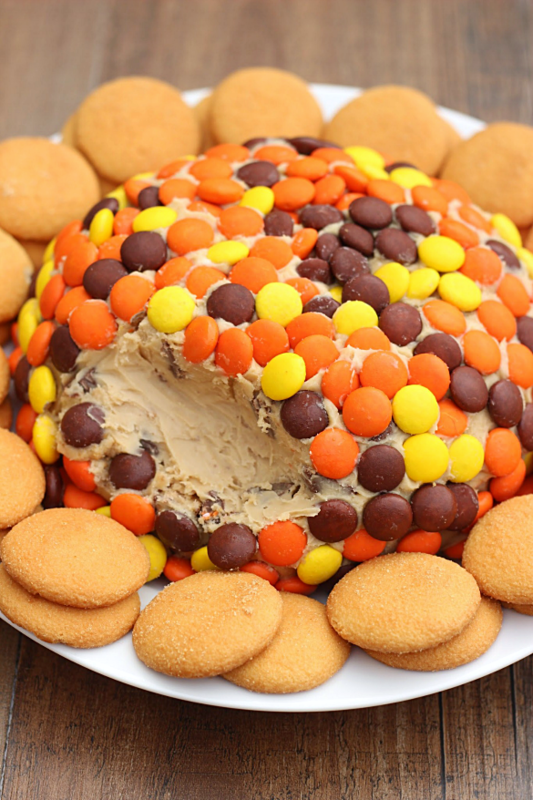 My husband will love this Reese’s Peanut Butter Cookie Dough Cheese Ball. Reese’s Pieces are his favorite candy!